the Scottish U18 boys open stroke-play (at West Kilbride) and Scottish U18 girls' open stroke-play championship over the Eden Course, St Andrews. Saleem shot a four-under-par 67 while Hannah had the same score in setting the girls' pace. Aboyne's Carmen Griffiths started the second round in a share of 24th place in a field of 120 girls. She had an opening round of three-over 74. Hannah Darling soared to the top of the Scottish Girls’ Open leaderboard on Wednesday afternoon after posting an impressive four-under-par 67 on St Andrews’ Eden Course. 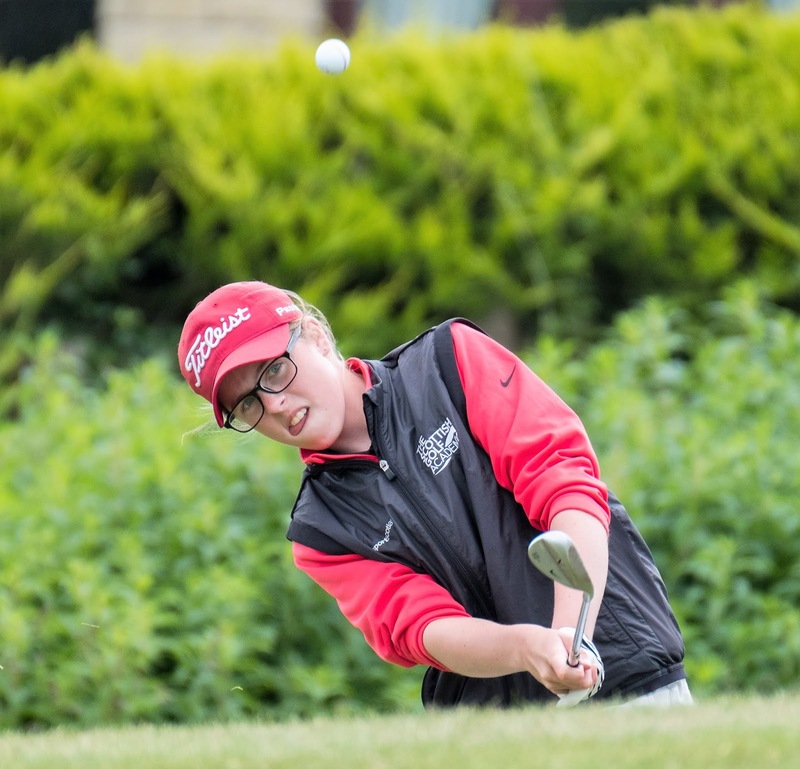 Darling fired six birdies in her opening nine holes and a steady closing stretch gave the Broomieknowe teenager a one-shot lead over the rest of the field. Germany’s Olivia Bergner sits in second place, one stroke behind Darling after round one while four players, including top seed Ani Eisenhut, are tied for third on -1. At West Kilbride, it was Scotland’s Aamar Saleem who led the way on day one of this year’s Scottish Boys’ Open. Saleem was one of the early groups out on Wednesday morning and his outstanding fourunder-par 67 could not be beaten, giving the St Andrews New Golf Club junior member a one-shot advantage over Germany’s Luc Bruer, the highest ranked player in this week’s field. Saleem will look to build on his opening round when he tees it up at 2pm on Thursday. With Ready Golf being promoted at both Boys’ & Girls’ events to improve pace of play, average round times on day one were well under four hours.